Purchase of Home ($146,500): May 27, 1994, First Trust Deed, $116,960, Liberty American Mortgage. Cashout Refinance: March 30, 1999, First Trust Deed, $158,484, Associates Financial Svcs. of CA Inc..
Cashout Refinance: November 1, 2002, First Trust Deed, $218,700, Wells Fargo Home Mortgage Inc..
Cashout Refinance: August 29, 2003, First Trust Deed, $284,208, Beneficial of California Inc..
Cashout Refinance: May 14, 2004, First Trust Deed, $301,911, Beneficial of California Inc..
Cashout Home Equity Loan: November 1, 2004, 2nd Trust Deed, $52,704, Beneficial of California Inc..
Cashout Home Equity Loan: October 25, 2005, 2nd Trust Deed, $102,200, Beneficial of California Inc..
Notice of Default: November 26, 2007, $102,200, Beneficial of California Inc.
Notice of Sale: March 13, 2008, Minimum Bid $116,314. Notice of Recission: April 4, 2008. Notice of Default: August 4, 2009, Beneficial of California, Inc..
Notice of Recission: November 16, 2009. Notice of Default: September 19, 2014, Loan Amount $301,911, Caliber Home Loans, Inc..
Notice of Sale: December 17, 2014, Caliber Home Loans, Inc..
Foreclosure Sale: January 26, 2015, Price $252,335, Seller: Hubbard Charles J., Pamela R.
Notice of Recission: June 9, 2015. Notice of Sale, June 9, 2015, Buyer: Hubbard Charles J., Pamela R. (no price, their mortgage was reinstated and modified to lower their payments). One company has emerged as a lightning rod, criticized by housing advocates and lawyers for borrowers, but admired by investors: Lone Star Funds, a $60 billion private equity firm founded in 1995 by John Grayken. In just a few years, Lone Star’s mortgage servicing firm, Caliber Home Loans, has grown from a bit player to a major force in the market for distressed mortgages. 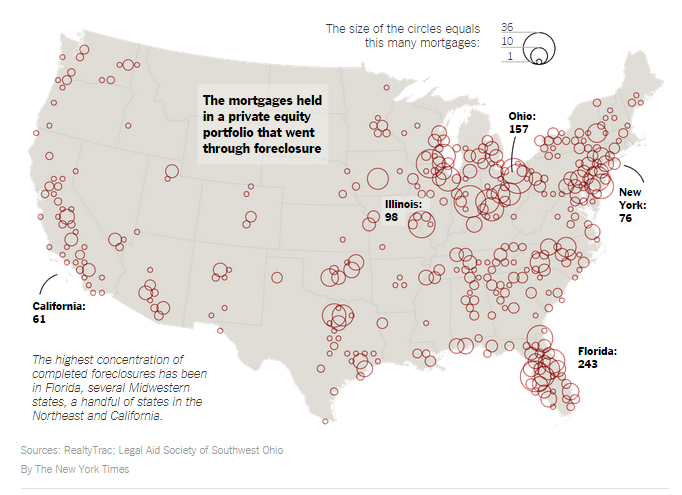 An examination by The New York Times of housing data and court filings, as well as interviews with borrowers, lawyers and housing advocates, revealed a pattern of complaints that Lone Star was quick to begin foreclosure proceedings, whether the firm had bought a delinquent mortgage at a federal auction or directly from a bank. Take Charles and Pamela Hubbard of Sacramento. They briefly lost their home when Lone Star’s Caliber subsidiary dealt harshly with their request for a loan modification. The couple said they had submitted the application to reduce their monthly mortgage payments four days before a planned foreclosure sale, but the Lone Star subsidiary said the Hubbards had been late in completing the application and pushed ahead with the sale. Lone Star Funds and its affiliated entities, including Caliber Home Loans, have foreclosed on at least 1,500 houses sold by a federal housing agency. The houses were part of an overall pool of 17,000 distressed mortgages the private equity firm purchased in June 2014 at a Department of Housing and Urban Development auction. Most of the completed foreclosures have taken place in the last five months, according to an analysis of home addresses by RealtyTrac. Within a month, the three-bedroom house that the Hubbards had lived in for two decades was auctioned off to another affiliate of Lone Star with the right to resell it later. The foreclosure was rescinded only after the couple went to court. Caliber declined to comment on individual borrowers, but it said that in general, it was “committed to providing the best possible service to all borrowers, and identifying solutions that allow troubled borrowers to continue to pay their mortgages and stay in their homes is our top priority.” It said it had one of the highest loan modification rates in the industry. Another window into how Caliber and Lone Star operate can be seen in a rare look into one of Lone Star’s biggest deals — a bundle of 17,000 distressed mortgages that had an unpaid balance of $2.96 billion. With money from public pension funds, Lone Star bought those mortgages in the summer of 2014 at an auction held by the Department of Housing and Urban Development. The loans were originally underwritten before the financial crisis by banks like JPMorgan Chase and Bank of America, with insurance guarantees from the Federal Housing Administration. The list of those mortgages was provided to The Times by the Legal Aid Society of Southwest Ohio, which obtained them through a Freedom of Information Act request. HUD rules barred Lone Star from foreclosing on most of the mortgages it had acquired until early March. But since then, the firm has picked up the pace of foreclosures, an analysis showed. As of the end of August, Lone Star and Caliber had foreclosed on at least 1,500 of those formerly F.H.A.-guaranteed mortgages — or 9 percent of the pool, according to an analysis of the home addresses performed by RealtyTrac, a foreclosure tracking service. Many of the foreclosed homes are clustered in Florida, Ohio, New Jersey, California and Texas. A majority of the homes foreclosed on by Caliber have been bought back by another Lone Star affiliate at either a trustee or sheriff’s auction. The private equity firm is looking to resell the homes, and many can be found on Zillow, an online real estate listing service. This foreclosure push was felt by John P. Glynn and his wife, Tammy, of Gahanna, Ohio. They were working with JPMorgan Chase on a loan modification when their mortgage was sold to Lone Star in last summer’s HUD auction. After Caliber took over the handling of the Glynns’ mortgage, the talks that had been going on with JPMorgan over a modification ended. Caliber filed a lawsuit in February seeking to foreclose on the loan. “I got the impression they didn’t want to work anything out,” said Mr. Glynn, an industrial engineer. Caliber is now working toward reaching a settlement with the Glynns. The number of foreclosures can be expected to rise as well. In February, a HUD report analyzing the status of some of the 79,000 soured mortgages it sold over the last five years — including those bought by Lone Star — reported that 20 percent of the mortgages had been foreclosed, 9 percent had been restructured and 6.4 percent had been resold to other firms or investors. Borrowers remained delinquent on about half the loans. In addition to Lone Star, other private equity firms have emerged as big buyers of troubled mortgages from federal agencies and banks. They include Bayview Asset Management, an affiliate of Blackstone Group, and Selene Investment Partners. These firms have swarmed into troubled mortgages because they can squeeze profits from these loans by either restructuring them or by foreclosing on them and then repackaging the distressed loans into bonds that are sold to mutual funds and hedge funds. Private equity’s push into the distressed mortgage market has produced some benefits. Thousands of homes that were abandoned by borrowers are now back on the market. In the HUD sales, about 10 percent of homes were vacant, according to the February report. 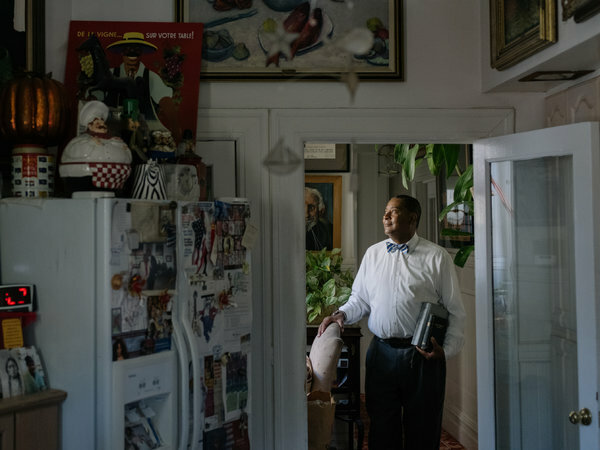 Still, housing advocates argue that federal housing agencies should make it easier for nonprofit organizations to have a better chance to compete for troubled mortgages, believing that these groups would work harder to avoid foreclosures. Representative Michael E. Capuano, a Massachusetts Democrat, wrote this year to Julian Castro, the HUD secretary, expressing concern that nonprofit housing groups were too often losing out to private equity firms in the bidding for distressed mortgages. The tendency to act quickly on foreclosures is, in part, by design. The acquisition of distressed mortgages by Lone Star is the engine in a well-oiled securitization machine that assumes that foreclosure and resale of the homes are inevitable components of the process. In these securitizations, many of the soured loans are bundled into bonds that yield up to 4 percent. They are then sold to hedge funds and mutual funds. The short-term securities generate income for investors from the proceeds derived from foreclosing on the mortgages and then selling the homes on the open market. Last year, Lone Star sold 17 such securitizations, with a combined unpaid loan balance of $10 billion, and the firm is on pace to complete a similar number of deals this year, according to Intex Solutions, a securitization deal tracking service. A confidential offering document for one of these Lone Star deals — named VOLT 2015 NPL, a transaction backed by 4,895 delinquent mortgages — indicates that the firm considers foreclosure and sale of the homes the most likely outcome for a majority of the loans. The document notes that about 9 percent of the mortgages were part of the pool of loans purchased from HUD. Lone Star and other private equity buyers contend that many of the foreclosures involve homes that have been abandoned by borrowers, or loans beyond hope. The private equity firms also maintain that foreclosures are less profitable than modifications because the process is costly and time-consuming, and the homeowners are not making any payments for years at a time. 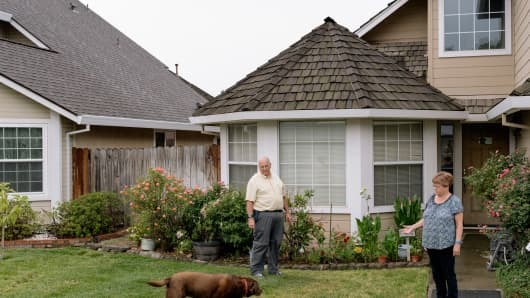 Federal housing officials reject much of the criticism of their sales of loans to firms like Lone Star, noting that many of the borrowers have not made a mortgage payment in three years. The private buyers, officials say, often represent borrowers’ last, best hope of striking a deal that can keep them in their homes. HUD officials also point out that the loan sales have reduced the obligation of the F.H.A. insurance program to guarantee mortgages against default, saving billions in the process. Nonetheless, in response to the criticism, HUD recently increased the period during which a private buyer cannot foreclose on homes to 12 months from six months, and it sought to create smaller pools of loans to give nonprofits a better chance at submitting winning bids. While HUD has hoped that buyers of its loans will seek to reduce permanently the principal or debt owed by a borrower, Caliber tends not to do so. In the first half of 2015, Fitch Ratings said of the loans it had reviewed, Caliber had not completed any modifications that included permanent principal reductions. Instead, Caliber generally offers to modify loans for five years, during which a borrower makes either reduced monthly payments or simply pays interest on the loan. But those modifications revert to their original payment terms in the sixth year, sometimes with any deferred unpaid principal or unpaid interest added to the back end of the loan. Such deals provide short-term relief to borrowers but do not provide a permanent remedy for homeowners short of cash. George Velazquez, 51, an auto appraiser who lives on Staten Island with his wife, Evelyn, said there was no room to negotiate with Caliber when it presented him with a five-year interest-only mortgage modification after Lone Star bought their loan from HSBC. In the case of the Hubbards, it took court action to get Lone Star and Caliber to work with them. Lone Star bought the loan on their three-bedroom home in Sacramento from Beneficial Financial, a division of HSBC, in the summer of 2014 for an undisclosed sum. After the Hubbards sued, Caliber and the couple began negotiating. In May, they agreed to a short-term modification that would reduce the Hubbards’ monthly payments on the mortgage by several hundred dollars, to $1,953 for the next five years. Caliber filed a formal notice with county officials on May 29 that rescinded the sale of the home to Lone Star.While the matter was resolved, it could have turned out differently if a buyer not affiliated with Lone Star had stepped in to buy the home. Posted on October 1, 2015, in Postings. Bookmark the permalink. Leave a comment.